The West Nepal districts of Jumla, Mugu, Kalikot, Humla and Dolpa are amongst the poorest in Nepal, despite their abundance of natural resources and authentic culture. Mountainous terrain, isolation, inadequate infrastructure, poor communications and a lack of government initiatives to develop this area have hindered the region’s development. As a result, people suffer from extreme poverty; they have no access to education or primary health care, two vital components to a decent life. Tourism has been a vital instrument in the development of the Everest and Annapurna regions. Our West Nepal training is designed to enhance local skills in trekking and tourism. We hope that once this new destination flourishes there will be more tourists visiting the area and that the local women will be able to utilize their skills and knowledge to gain employment and earn income. The West Nepal Midwife Scholarship Fund started in August 2010 to assist deserving girls from Humla, Dolpa, Mugu, Jumla and Kalikot to continue their education after grade 10. This scholarship fund has been established so that girls from low-income families can obtain a higher education despite their financial difficulties. The scholarship fund was developed after completion of an intensive needs assessment in cooperation with women’s groups in Jumla. Together we addressed the urgent need for experienced health professionals and midwives in the villages of West Nepal, to avoid pregnancy complications and reduce pregnancy related deaths every year. 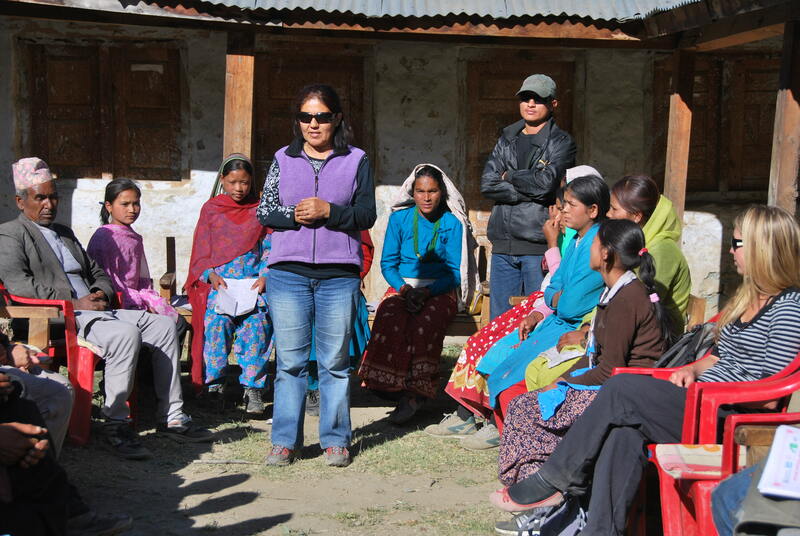 Goal: To improve the overall well-being of West Nepal citizens in Jumla, Humla, Mugu, Dolpa and Kalikot districts. Purpose: To reduce pregnancy complications and pregnancy related deaths in West Nepal. Expected Outcome: Reduced pre- and post-natal complications for mothers, improved infant health, and reduced child mortality rates. Resources: Scholarships for girls to enroll in a 29-month midwife training program at the Karnali Technical School. 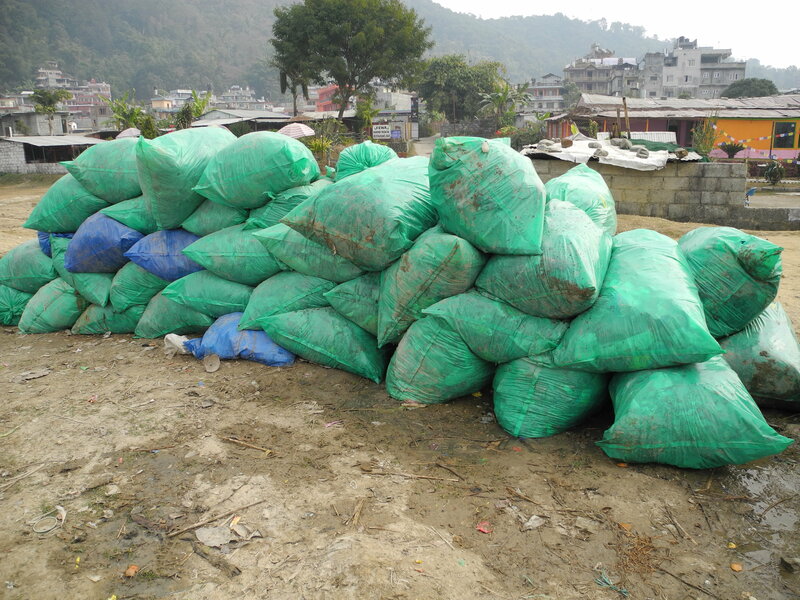 Recently EWN has partnered the Green Clean Pokhara Movement in monthly environmental clean-up sessions. The program started with clearing plastics and other rubbish from Fewa Lake. EWN’s trainees, staff from 3 Sisters Adventure Trekking, local fishermen, and the fisherwomen’s community project gathered to raise awareness against pollution. We actively encourage others to be aware of this problem and to ‘act now’ if we want to keep Fewa Lake clean for future generations. Over time, EWN has expanded its training programs to include advanced courses for Senior Guides interested in expanding their skill set. 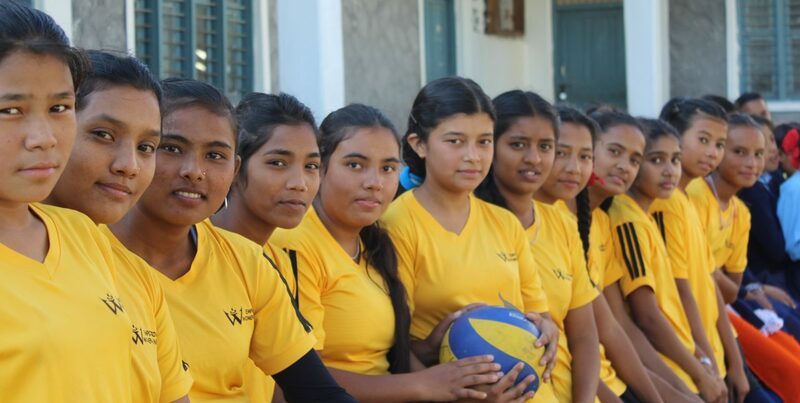 EWN’s advanced training benefits Nepali women by expanding the female guides’ capabilities and diversifying the trips they are able to lead, thus increasing their employment opportunities and self-sufficiency. The advanced training is available in two levels: first the girls are trained in rock climbing and if they show exceptional climbing aptitude they can advance to ice climbing. 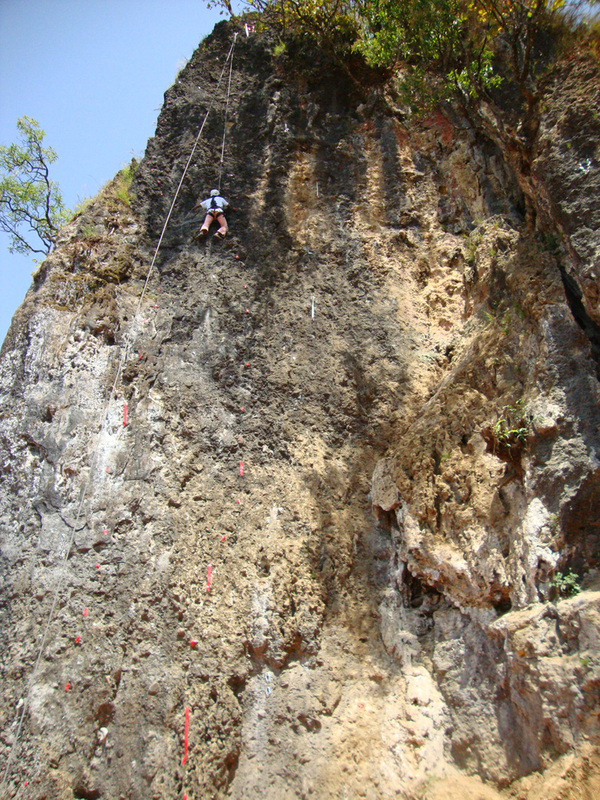 EWN’s rock climbing training was established in 2005 and 134 women have participated in the program. 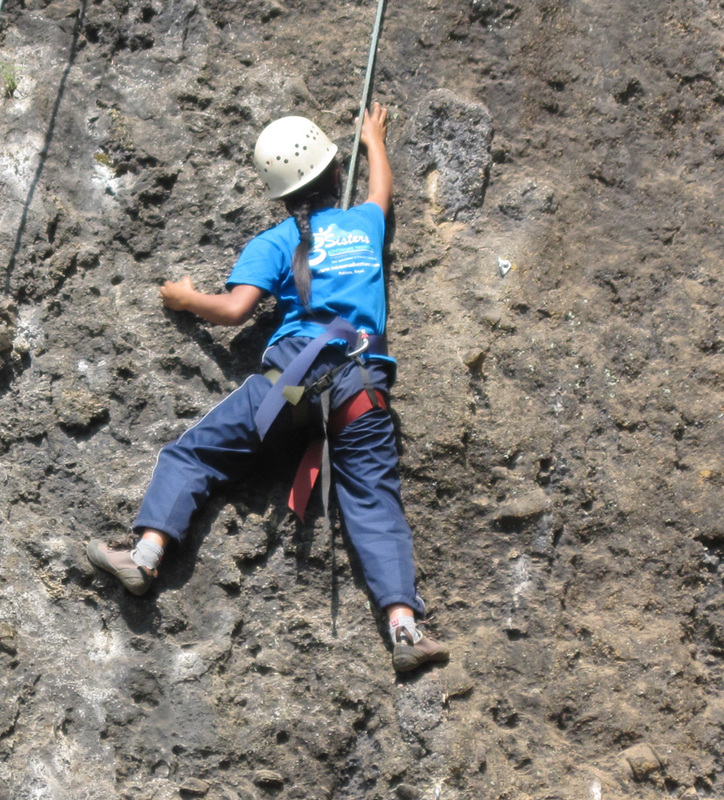 The ice climbing program started three years later and 12 women have been beneficiaries of this training. In 2008, EWN began working on a multi-year ice climbing training project with the Magic Mountain Foundation (MMF) in Poland. Together, MMF and EWN conducted their first ice climbing training on Tent Peak (5700m) at Annapurna Base Camp. In 2009 the two organizations conducted their second ice climbing training on Chulu West (6700m) in the Manang area of the Annapurnas. In 2010, four trainees and one representative from EWN went to Poland and also to Italy to receive more advanced technical training. With more training this winter, EWN is planning on another ice climbing expedition in 2011 in the Annapurnas. Has that happened? If yes, add. As a result of the success of our ice climbing expedition, many young trainees are interested in expanding their horizons further through the advanced training programs. Moreover, there has been a significant increase in the enrollment of girls from rural, mountainous areas who would like to become trekking guides.